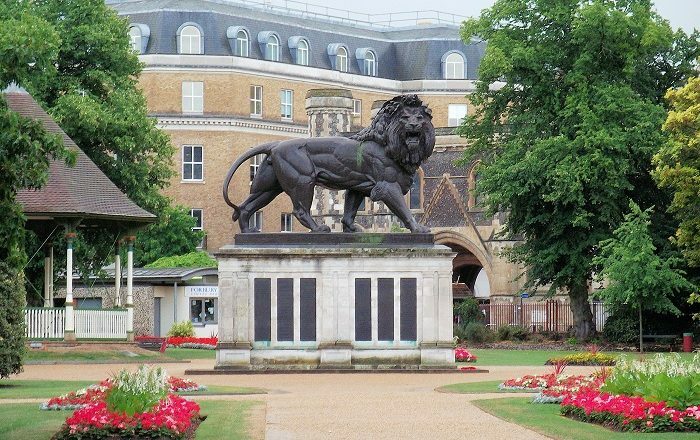 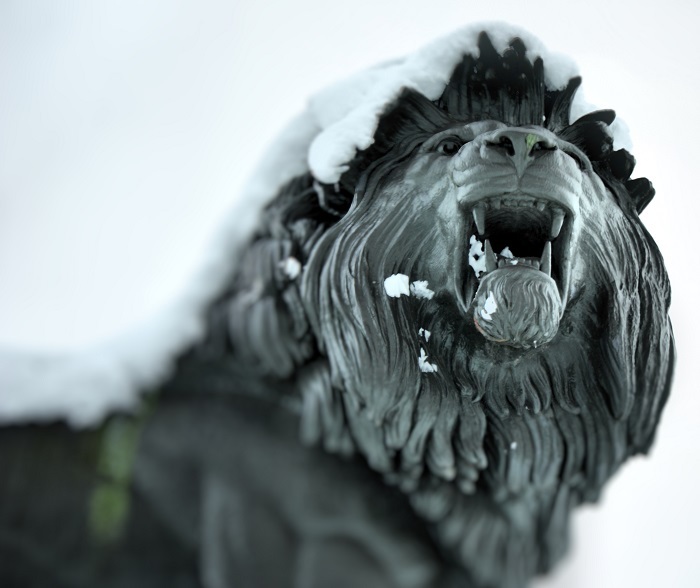 The Maiwand Lion, sometimes referred to as the Forbury Lion, is a big sculpture that serves also as a war memorial, and it is located in a small public park in the central part of the city of Reading in the United Kingdom of Great Britain and Northern Ireland. 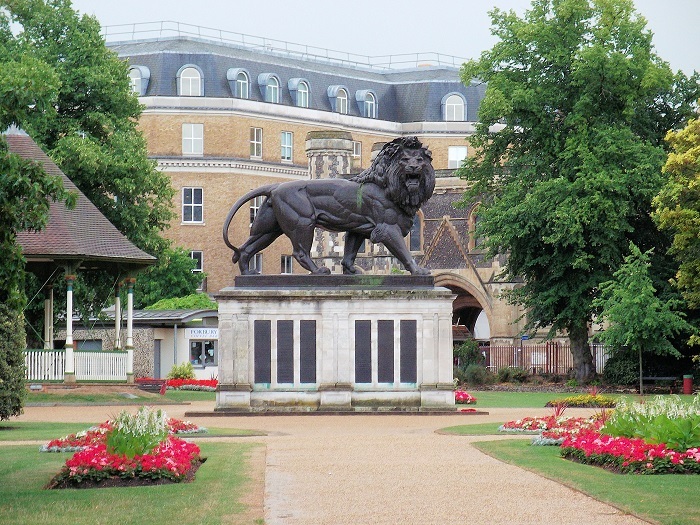 Constructed in 1884 in order to commemorate the deaths of 329 men from the 66th (Berkshire) Regiment of Foot who were killed in the Battle of Maiwand during the Second Anglo-Afghan War, the sculpture today stands among the tranquility of the park that serves for relaxation and picnic lunches. 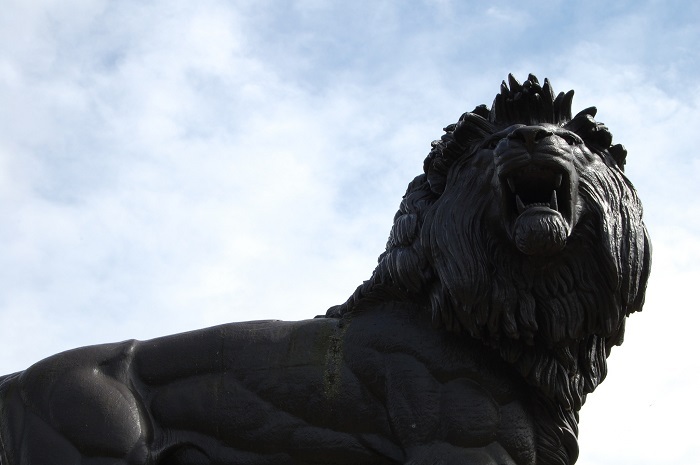 The sculptor who designed the massive lion was George Blackall Simonds, where it took him two years to design and complete it, which today represents as one of the world’s largest cast iron statues. 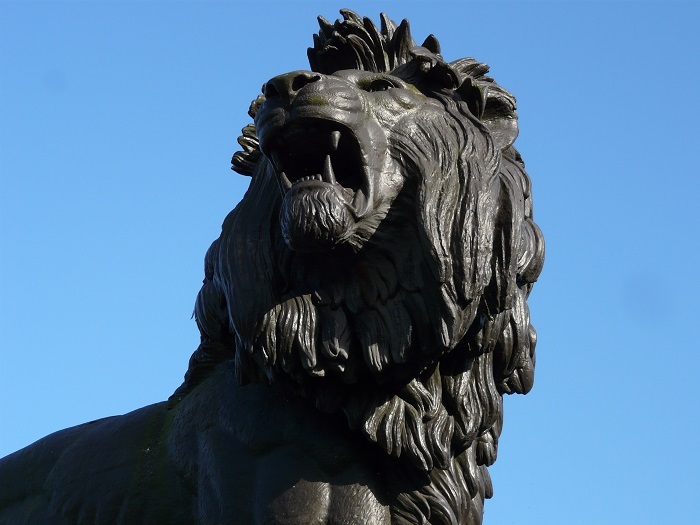 As it weighs approximately 16 tons, it was cast by H. Young & Co. of Pimlico in 1886 and was originally supported on a terracotta pedestal which later was replaced with granite, due to the signs of crackings because of the lion’s enormous weight. 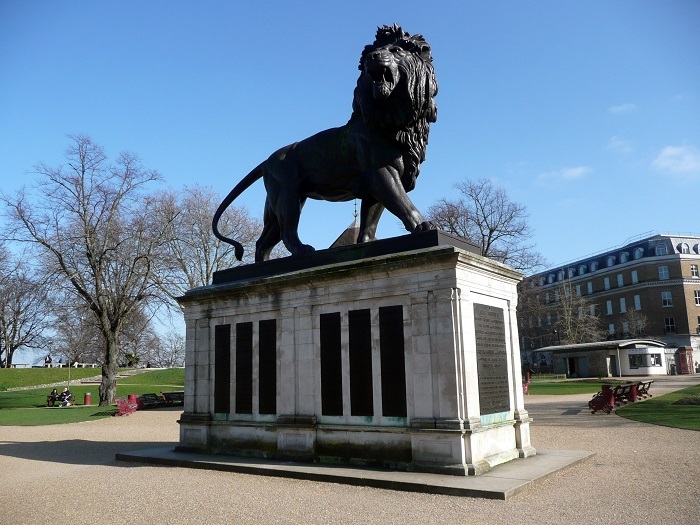 As there are many sculptures of lions across the Kingdom, the Maiwand Lion is entirely unique compared to the rest, and there is an inscription on a plinth, accompanied by rectangular plastered plinth which carries tablets recording the names of the dead, together with the inscription about the monument above. 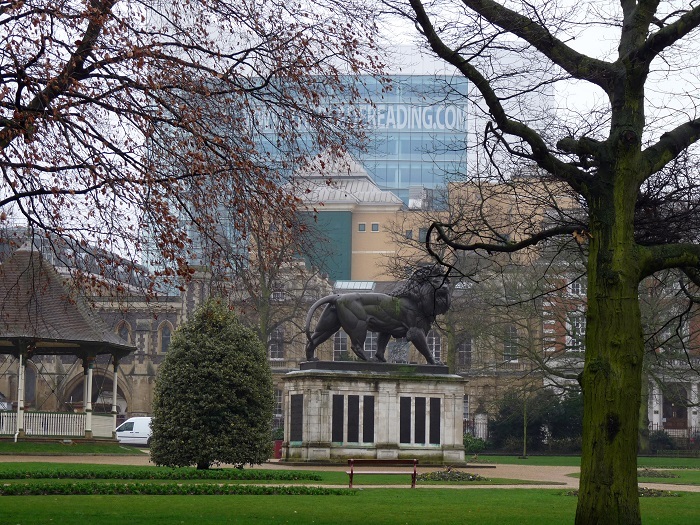 Still, the lion is a great symbol of the city of Reading, with the local newspapers and the Reading Football Club using it on their emblems, nevertheless, the visitors coming to this English town are certainly able to witness something that was contemporary in the times when it was sculpted.